"I am not alone in my desire to press a good book into someone's hands. We employ a host of talented booksellers who, like me, believe that recommending books is the birthright of every zealous reader. No matter how much we love a book, the experience of reading it isn't complete until we can give it to someone who will love it as much as we do." 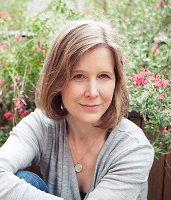 --Ann Patchett, author and co-owner of Parnassus Books, Nashville, Tenn., in a Washington Post op-ed piece headlined "Owning a bookstore means you always get to tell people what to read."